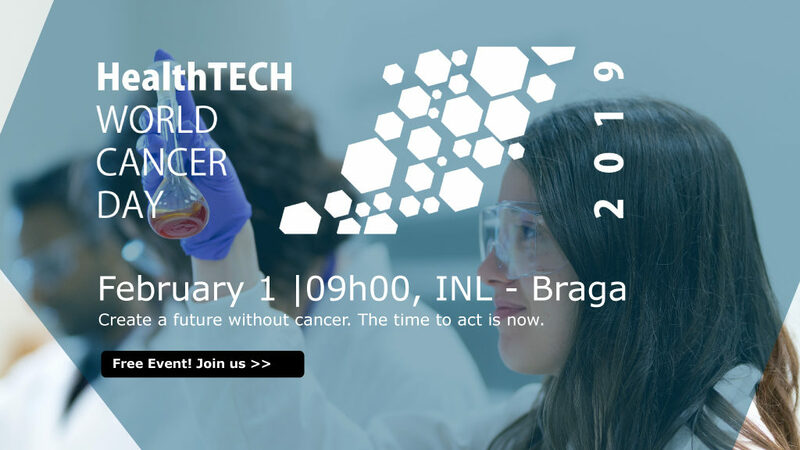 The Portuguese 2019 edition of HealthTECH World Cancer Day will take place next February 1, 2019 from 9h00 on at the INL auditorium in Braga. Join us and learn how the new medical technologies are changing the diagnosis and treatment of one of the most prevalent diseases worldwide. Participants will be able to learn about the latest innovations made possible by nanomedicine, biomaterials, smart systems and digital health, ranging from a more accurate early diagnosis to safer drugs or radiotherapy, tailor-made treatments for each patient or even remote monitoring of patient parameters. The initiative counts with the attendance of Cristiana Fonseca, from the Portuguese League Against Cancer and member of the board of the International Union for the Control of Cancer, who will talk about the role of patient associations in decision making, Daniela Pereira, creator of the startup Mag4Biomed, who developed a new form of cancer treatment through magnetically guided drugs, José Luís Costa, a researcher at the Institute of Research and Innovation in Health (I3S), who is dedicated to understanding genetic mechanisms on the basis of cancer development and progression for the adoption of personalized treatments, and Joaquim Abreu de Sousa, oncologist at the IPO (Portuguese Oncology Institute, Porto), who will address the current state and needs of clinical practice in this area. HealthTECH World Cancer Day takes place simultaneously in seven countries – Portugal, Spain, France, Germany, Italy, Poland and Turkey, as part of the World Cancer Day, next February 4th, to inform the public about the role of technology in fighting cancer.